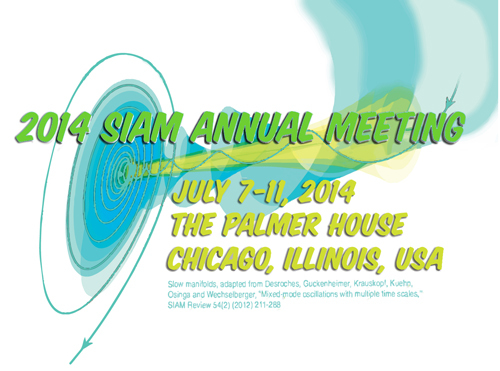 This meeting is being co-located with The SIAM Workshop on Network Science (NS14), July 6-7, 2014 and the SIAM Workshop on Exascale Applied Mathematics Challenges and Opportunities (EX14). To view photos from the Annual Meeting and Conference on Control and Its Applications, visit http://tinyurl.com/org8wjc. A mobile app is available for download. Plug www.tripbuilder.com/siam2014events into your mobile browser. The link will automatically detect the type of device and take you to the right place to download the app. Or, view the mobile site in HTML5 by connecting to www.tripbuilder.net/mw/apps/siam2014events.